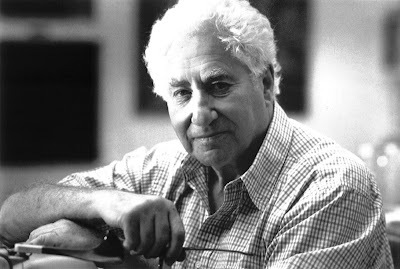 Budd Schulberg, who died last week at the age of 95, had a reputation as a kind of pugilistic writer. He wasn’t afraid to take on all comers, and he was quoted as saying that writing was a way to stand up and fight. He was right, I think, and the writing he was talking about encompassed fiction or non-fiction. The arena in which Mr. Schulberg fought his battles, however, was a public arena, and not all the battles that Schulberg was associated with were fought in public, nor did they have the (somewhat ephemeral) cover of fame and money. What I mean to say here is that we have an opportunity here, in light of the purpose Schulberg ascribed to his own life, to attach his noble fights to people who also fought those same battles anonymously and privately. And with the same courage, I might add. Maybe even more so. I recently came across a letter, written by and sent to people who are lost to history, who were about to live through the nightmare that history has called “The Red Scare” -- the period in the late 1940s and early 1950s when people were rooted out and exposed for once having been a member of the Communist Party, despite the fact that such affiliations were perfectly legal. The letter, dated Nov. 29, 1948, was found in a box of junk. How it survived is as much a mystery as to why any artifact manages to survive the ravages of time and indifference. But it did survive, and so we can be thankful for that because it is a remarkable document. It’s the same kind of small miracle as if you found a previously undiscovered page of a diary kept by Thomas Jefferson. Before we get to the letter, we need to put it in perspective. The big fight of Schulberg’s life, one that encompassed both Hollywood and politics was, as The New York Times put it in his obituary last week, about the lopsided battle between those who had power and those who did not. If it is the “writer’s responsibility to stand up against that power”, consider the contents of the following letter. It was written by someone named Sol, to a woman named Sarah. That the writers were Jewish is almost without question, which underscores the idea that the fight against communism was also a fight against Jews. This is all the more heartbreaking because it came just a few years, just a matter of months, if you think about it, after the monumental fight against Hitler and the other elements of totalitarianism that were circling the globe in the 1930s and 1940s. The letter was sent from Los Angeles and was directed to the New York City borough of Brooklyn. You get a clear sense of how a mob mentality can take over and destroy things. And the writer of the letter is just as courageous in his fight against the “power” as Schulberg ever was. I have all of your letters including one dated Sep. 29 and of course the most recent one that came several days ago. Thank you very much. I wish I could tell you how much I appreciate and admire your stand in this matter. What I am trying to say is that you are so utterly different than the vast majority of people are in similar situations. Most people write when they are written to. I don’t even do that much. Now I’ll not even try to excuse myself. At best it will seem somewhat phony, and transparent. You mix both tolerance and broadmindedness and the result is a rare brew that is highly satisfying and heartening. Arline was married about a month ago. Just married. No affair whatsoever. They are both of the same age. He goes to school, but I do not know what he is aiming for. And she lost her job with the City. She couldn’t pass the loyalty test. She and fifteen others were found to be “subversive.” You are no doubt aware how elastic that word can become when it is taken in the hands of the “Thomas Committee”, and they have a replica of that gang here. She belonged to one or two liberal organizations, and in their estimation that’s being plenty subversive. The sixteen are fighting the case but the chance of being reinstated is very dim. Only last week one of the higher courts sustained the lower court in its original decision. They will try to appeal to the Supreme Court if they can get the money to do it. Meanwhile it is not very promising. Max has not been feeling well for the past few weeks. In fact he has not been feeling right for much longer than that. He was in the hospital for several days and now he is home. One of his lungs collapsed. He feels somewhat better now but is worried how it will effect him when at work. We are glad to hear the news about Sol’s cousin. We are waiting to hear from them. And should we not hear from them by next week, we’ll try to get in touch with them. You seem to be altogether too vague about the bet you made with Sol. You don’t mention anything about the amount involved, the odds, nothing. Dewey was a 10 to 1 shot on election day. Sol should have given you at least 5 to 1 even at the time you made the bet. If you bet him even money it only proves what little you know about betting, and, on the other hand, how lucky Sol came off. That was one time you had a chance to make a killing. But like all beginners you let it slip by. Another opportunity like that will never come again, of that you can be sure, at least not in our lifetime. What an election! Great satisfaction for many; terrific disappointment for many others. It was wonderful to have experienced such an event. And don’t think I went to bed early. I was also up to till six o’clock in the morning. But I went to bed feeling the “impossible” cannot happen. But since there must be a first for everything -- for the first time the impossible became the possible. I too voted for Wallace, a well-meant mistake shared with a million others. What fills me with great satisfaction is to have witnessed the defeat of Dewey. My! how I dreaded to see that guy be President of the U.S.A. The first definite news of his defeat, not to speak of Truman’s victory -- brought great relief, together with real joy. Altogether it was a great experience. Is Ida considering taking a trip out here? Natalie mentioned something about it in a letter received several weeks ago. I hope she can. She would enjoy it here. The letter mixes the momentous with the mundane, and ends on a note of hope. “She would enjoy it here,” says Sol of the city that just fired Arline for her subversive activities. As for Schulberg, he fought his way back to the top many times. He turned his experience of naming names in front of the House Un-American Activities Committee -- names that included Ring Lardner Jr. and Herbert Biberman -- into an Oscar winning screenplay called “On the Waterfront.” And he outlived, fruitfully, just about all his contemporaries. In the end, near the end, Schulberg publicly acknowledged what Sol in his letter already privately knew in 1948, which was that the fight against communism was senseless, damaging, and ultimately self-defeating. Note: The reference to the Thomas Committee in the letter is to John Parnell Thomas who was appointed chairman of the House of Un-American Activities Committee (HUAC) in 1948. According to the internet site www.spartacus.schoolnet.co.uk "HUAC interviewed 41 people who were working in Hollywood. His activities while working as chairman of the House of Un-American Activities Committee had upset those with left-wing political views and some began investigating Thomas. His secretary, Helen Campbell, leaked information about his illegal activities to the journalist, Drew Pearson. On 4th August, 1948, Pearson published the story that Thomas had been putting friends on his congressional payroll. They did no work but in return shared their salaries with Thomas. "Called before a grand jury, Thomas availed himself to the 1st Amendment, a strategy that he had been unwilling to accept when dealing with the Hollywood Ten. Indicted on charges of conspiracy to defraud the government, Thomas was found guilty and sentenced to 18 months in prison and forced to pay a $10,000 fine. Two of his fellow inmates in Danbury Prison were Lester Cole and Ring Lardner Jr. who were serving terms as a result of refusing to testify in front of Thomas and the House of Un-American Activities Committee. "Thomas was paroled after serving nine months in Danbury Prison. Attempts to return to Congress ended in failure and so in his final years he worked in publishing and real estate. John Parnell Thomas died in St. Petersburg, Florida, on 19th November, 1970."